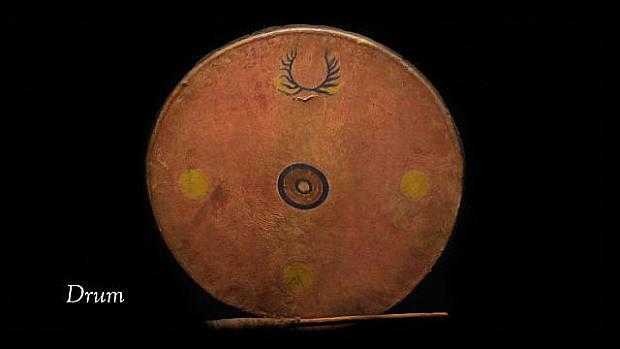 The drum is the heartbeat of the Arapaho Tribe. The drum represents thunder and the drumsticks represent lighting. Our old people would make songs for the family. If some person was going to war, the would make songs. Traditionally women wore blankets or a shawl. The drums were for singers to use. When a woman took off her shawl, they would sing a song for a style of dance. But it has changed. Now, it's the other way around and the women put on their shawls. Today we call it round dance, participation dance, or social friendship to get everybody together. The drum was very important and was considered sacred. It still is.